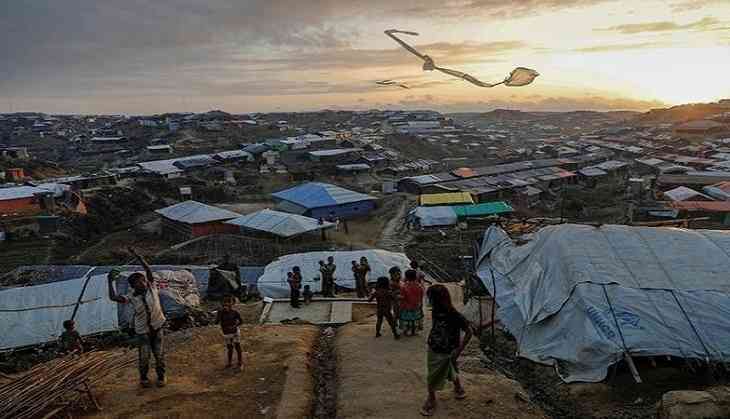 The International Criminal Court (ICC) has the jurisdiction to investigate the crimes that have been committed against the Muslim minority Rohingya community in Myanmar's Rakhine state, the court ruled on Thursday. "The Court has jurisdiction over the crime against humanity of deportation allegedly committed against members of the Rohingya people. The reason is that an element of this crime -- the crossing of a border -- took place on the territory of a State party [Bangladesh]," the court said in a statement, reported Anadolu. The Hague-based court further noted that it may, "exercise its jurisdiction with regard to any other crime set out in article 5 of the [ICC Rome] Statute, such as the crimes against humanity of persecution and/or other inhumane acts." It also urged the prosecutor to take the ruling into account while conducting preliminary examination over the alleged crimes committed against the Rohingya. In continuation with Myanmar's operations against the Rohingyas, two Reuters journalists, who were accused of breaching Myanmar's official secrets act during their reporting of the Rohingya crisis, were on September 3 sentenced to seven years each in jail by a Yangon court, CNN reported. Wa Lone, 32, and Kyaw Soe Oo, 28, were detained in last December, after working on an investigation into the mass killing of a number of Rohingya villagers in Myanmar's Rakhine state. The Rohingyas are a Muslim minority ethnic group in Myanmar and are considered to be illegal immigrants. More than 700,000 of them are languishing in Bangladeshi refugee camps, after fleeing a brutal Myanmar army campaign in August last year.